The UK’s referendum on EU membership in 2016 split the country down the middle and social and political divisions have intensified in the past two years. Young people voted overwhelmingly to remain in the EU and older people to leave, prompting the young to complain the elderly had stolen their future. 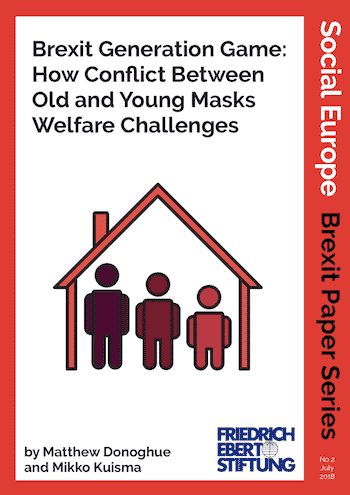 But the claims of an inter-generational conflict do not tell the whole story as the authors of this Social Europe/Friedrich Ebert Foundation Brexit paper explain. 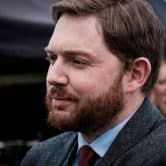 Matthew Donoghue and Mikko Kuisma, two outstanding social policy experts, get to the heart of the matter by demonstrating that the British welfare state, including the much-heralded National Health Service (NHS), is under siege because of the continuing government pursuit of austerity policies and neoliberal retrenchment of public spending. Brexit, they argue, makes an entirely new and different welfare state essential.